A pinch of Turmeric for wounds, for stomach pain, for allergy, for cold & cough.. this information is inherited by every Indian from their ancestors. And the wonders of turmeric now proved scientifically. Here is all we want to know about turmeric. 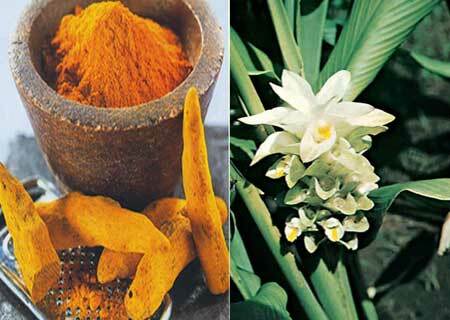 Botanical Name: Curcuma longa Linn. Syn. C. domestica Val. In India turmeric has been used since ancient times on religious occasions as a spice as well as an important ingredient of many Ayurvedic medicines. Rhizomes are short, thick, ovoid, cylindrical, light yellow in color. Spikes are 10-12 cm long and 5 cm in diameter. Sepals are free, imbricate, white in color and obtusely toothed. Tropical regions upto the altitude of 1000-1200 m.
India, China, Pakistan, Malaya, Sri Lanka, Indonesia and Jamaica. 70 species of Curcuma are widely distributed. India is home to about 18 species including C.amada, C. angustifolia, C. aromatica, C. domestica, C. xanthonrhiza, C. caesia, C. zedoaria, and C. longa. 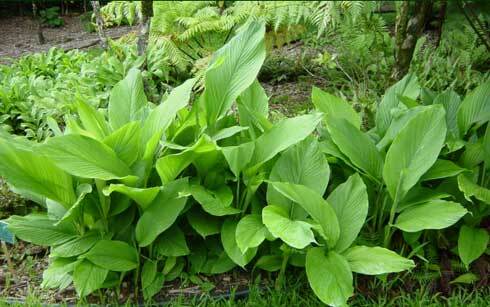 Longa is more imp because of its use as spice and condiment, and as an inflammatory and antiseptic drug. PTS-10, PTS 24, T-Sunder, Kasturi-pushpa, madras-magal, kathadi, Suvarna, Rajatrekha, Phoolbani local, Pratibha and Nooriprabha are also cultivated. Essential oil (6%)- variety of mono and sesquiterpenes like turmerone (30%), ar-turmerone (25%0, zingiberene (25%), α-phellandrene, sabinene etc. Others: Glucose (28%),Starch grains, 1-methyl-4-acetyl-1-cyclohexane, proteins, vitamins, minerals and caprylic acid. Therapeutic Uses: most commonly used as anti-inflammatory, antiseptic, antioxidant and remedy for cold & cough in every house. Research has shown its promising use as an anti-cancer drug. Other uses includes diuretic, hemostatic, constipation, blood purification, skin diseases etc. Other uses: yellow color for dyeing wool, silk, cotton. Used in Hindu rituals and ceremonies.